or leave it in ruins. Releases January 31, 2017 by HarperCollins Witness Impulse. Click the cover to order. 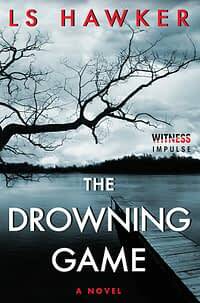 Released May 3, 2016 by HarperCollins Witness Impulse. Click the cover to order. 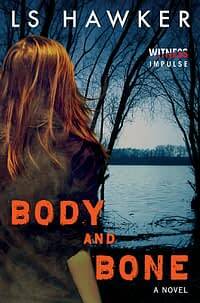 Released September 22, 2015 by HarperCollins Witness Impulse. Click on the cover to order. 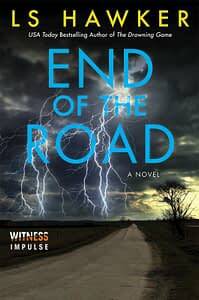 I’ve writ­ten five nov­els, three unpublished: The Last Run (YA), Mir­ror Moun­tain (YA), and Every­body Knows This is Nowhere (Mys­tery); and three published by HarperCollins Witness Impulse: THE DROWNING GAME (Thriller/Suspense), BODY AND BONE (Thriller/Suspense), and END OF THE ROAD (Thriller/Suspense). I’ve got three more on hold: After the Gold Rush (Thriller/Suspense), Out of the Blue, Into the Black (Thriller/Suspense), and Yonder Stands the Sinner (Thriller/Suspense, sequel to The Drowning Game). I wrote my first novel, The Last Run, when I was 14, and it’s exactly what you’d expect from your aver­age high school fresh­man. It was about a gang of kids who go ski­ing every Sat­ur­day and get into a sit­u­a­tion with a rival gang. Sort of a West Side Story on the slopes. It was spec­tac­u­larly awful, but it was the first full-length manuscript I fin­ished.